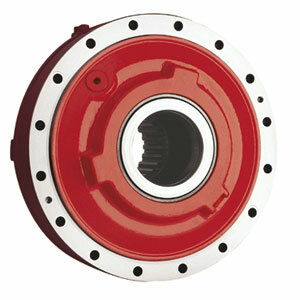 Hagglunds Drives Inc. motor is a radial piston type motor with a rotating shaft and a stationary housing. This motor is smaller and lighter than the other motors offered by this company. It can work at high speed and at the same time keep the energy loss at a minimum. This motor has a small outer diameter and low weight to give a high power to weight ratio. It can be mounted in just about any way to suit the user's needs, according to the company. , 2275 International Street, Columbus, OH 43228. Tel: 614-527-7400. Fax: 614-527-7401.